Eco-Ball of the ECO-FUN family is not only a ball, but one of the most enjoyable ways to play outdoors. It is a resistant and safe piece of outdoor playground equipment, composed of EPDM stamped onto a galvanized steel frame. Thanks to this manufacturing technique, the result is resistant, drains easily, and dries quickly. It is the perfect equipment for play-areas, pre-schools and shopping centers. 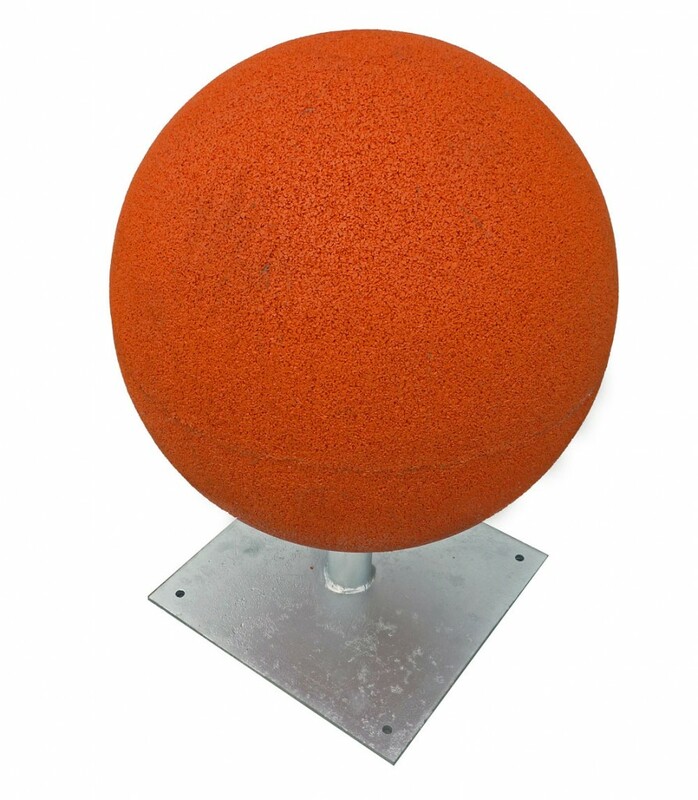 Eco-Ball outdoor playground equipment has a diameter of 50cm, and steel support staff with a height of 30cm. The exterior covering is 100% EPDM while the interior is in SBR. The surface is stamped onto a galvanized steel support frame, and available in a range of 16 different colors. This manufacturing process results in a single resistant block which is particularly well suited to its use in outdoor environments which are continuously subject to severe weather.